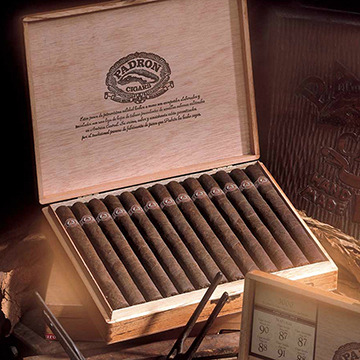 Padron Series premium handmade cigars are blended with sun-grown long filler tobacco from Esteli, Nicaragua, cured and aged for a minimum of 2 1/2 years. Medium- to full-bodied, the Padron Series offers wonderful notes of wood, leather, and coffee throughout, and the consistent flavor and aroma make them a pleasure to smoke in any of our size and wrapper offerings. The Padron Family sets a high standard for all of its cigars, regardless of price range, and this moderately priced cigar is no exception.